What Silver Chart Has The Bankers Worried ? There is a rising trend in the silver market that has the bankers worried. There is a rising trend in the silver market that has the bankers worried. This may seem like a play on hype, but I can assure you… the facts are clear. If we look at the data in the silver market, there was a distinct change that took place in 2008. Basically, the U.S. Banking system died in 2008 and more investors are finally catching on. 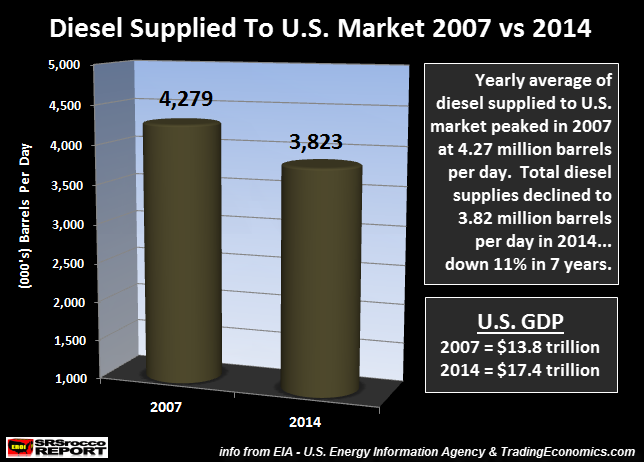 We must remember, the majority of diesel used in the U.S. is consumed by our huge trucking-transportation system. 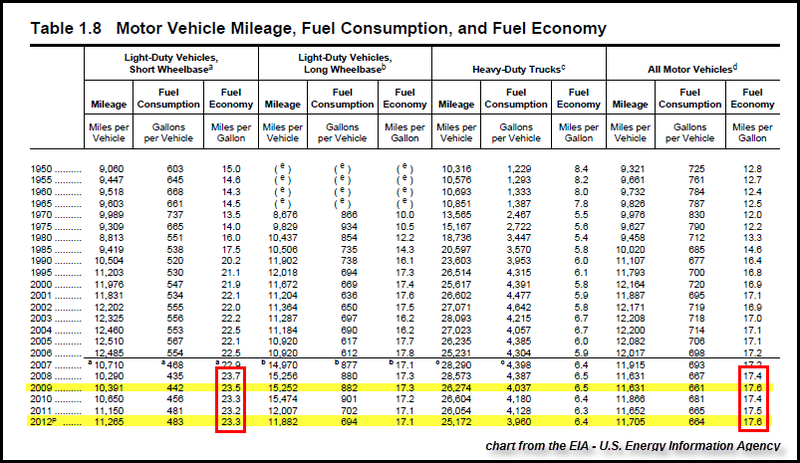 So, how did the U.S. GDP grow from $13.8 trillion in 2007 to $17.4 trillion in 2014, while the country’s commercial trucking fuel consumption fell 11%?? It didn’t…. the U.S. GDP figures are all smoke and mirrors. As I have stated many times, the Fed and U.S. Govt. manufactured financial and economic growth by propping up the market with trillions of Dollars of monetary liquidity. If total U.S. diesel and gasoline consumption declined since 2007, how is it possible to show a 26% increase in U.S. GDP ($13.8 trillion to $17.4 trillion)? You see, the Fed and U.S. Government can manufacture all the financial and economic data to their heart’s desire. However, the facts show that the United States commercial transportation industry consumed 11% less diesel in 2014 than it did in 2007. Thus, the country’s GDP should be lower, not higher. The figures in this chart are broken down in three-year time periods. I like to show data in this fashion as it removes annual volatility. As we can see, total global silver bar and coin demand from 2005-2007 was only 4,712 metric tons (mt). This translates to 151 million oz (Moz). So, before the Fed and Central Banks got caught with their pants down when the entire financial system nearly imploded in 2008, physical silver investment was relatively low. 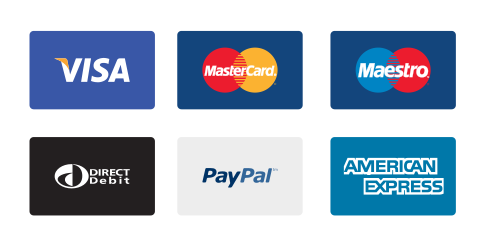 However, this all changed in 2008 when Bear Stearns and Lehman Brothers went belly up and AIG filed for bankruptcy. Investors who became quite worried about the sustainability of the financial system starting buying a great deal of physical gold and silver. This is shown by the massive increase of physical silver bar and coin demand in the 2008-2010 time period. Investors purchased 13,005 mt (418 Moz) of physical silver during this three-year time period, up 177% compared to the prior period. However, something quite interesting took place in the following period. As the price of silver skyrocketed to $49 in 2011, physical silver investment shot up to 6,550 mt (210 Moz) that year, up from 4,457 mt (143 Moz) in 2010. But, as the price of silver remained in a trend-bound fashion in 2012, physical silver investment declined to 4,292 mt (138 Moz). When the market is unsure of the direction in price of an asset or commodity, they tend to hold back on purchases. That being said, that all changed in 2013 when the price of silver fell from a high of $32 in the beginning of the year to $18… just six months later. Investors piled into the precious metal in record numbers pushing the total of physical silver investment to a staggering 7,577 mt (244 Moz). Thus, total physical silver bar and coin demand during the three-year period from 2011-2013 was a massive 18,419 mt or a hefty 592 Moz. During those three years, the total world net silver deficit was 220 Moz. (Silver Institute). Which means, the bankers or institutions had to fork over an additional 220 Moz to supplement the increased global silver demand. If it wasn’t for this increased physical silver investment demand, the world would have enjoyed a 70 Moz surplus. When I say the bankers are worried about physical silver investment demand… they are. Why? Because they have been able to drain the Western official gold holdings (as well as private unallocated sources) to feed the insatiable Eastern gold demand. Unfortunately, most of the Central Banks unloaded most of their silver holdings decades ago. 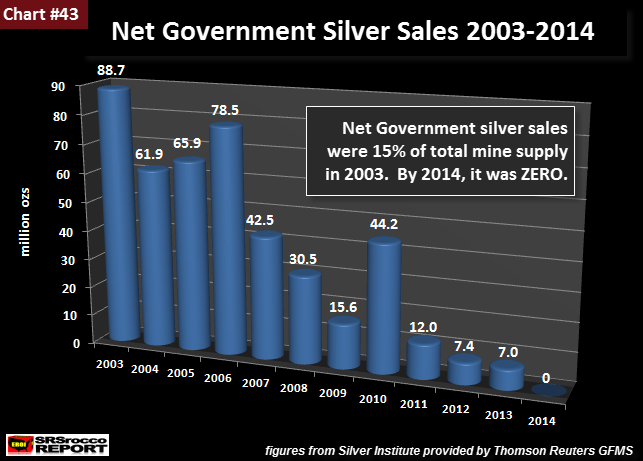 Not only were government silver sales a phat ZERO last year, global above ground silver inventories continue to be drawn down. This is the REAL PROBLEM for the bankers. How much silver is left to supplement the market in the future? Well, if the price goes lower, there will be even less supply from recycling. 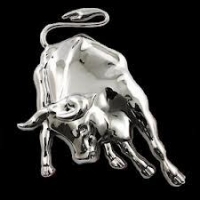 I am working on my next report called THE SILVER MARKET REPORT. I go into detail showing just how little above ground silver stocks are available. Now, when I say above ground stocks, I am not talking about the billions of ounces of silver held in jewelry, silverware or art forms all over the world. While a percentage of this silver would likely come back onto the market at much higher silver prices, it would take time. Rather, I am talking about the availability of silver (mostly in bar form) to supply the wholesale and retail market. On the other hand, even if 5 billion ounces of silver held in the world as jewelry, silverware or art came on the market when the price reached $100, it would only amount to a total of $500 billion. This is only 0.5 % of the total value of Global Conventional Assets under management ($105 trillion – 2014). It is plain to see, investors continue to buy record amounts of physical silver even at much lower prices. The bankers assumed at some point that investors would grow weary of holding onto a supposed DEAD-BEAT asset as its price decline. However, the opposite has occurred as investors realize… nothing has been fixed. So why stop buying, especially at lower bargain prices?? The day will come when the bankers lose control of the highly leveraged debt-based fiat monetary system. This can take place at any time, but will be forced on the bankers soon after the peak of global oil production. 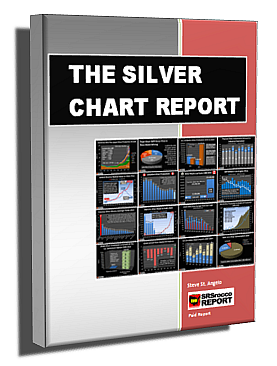 If you haven’t checked on THE SILVER CHART REPORT, there’s a great deal of information on the Silver Industry & Market not found in any single publication on the internet. There is one chart in this report (Chart #19) that I can guarantee that 99.9% of precious metal investors haven’t seen before. Most analysts focus on a certain area or sector of the silver market. However, the information in this report illuminates a holistic view of many sectors of the silver industry, capturing the relationships that connect many parts of the market. One of the important aspects of my work is to look at many industries and markets from a bird’s-eye view. From this perspective, we can see how industries and markets impact each other to a much larger degree than by just focusing on individual sectors.